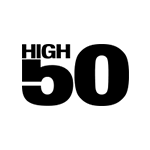 High50 brings you the best in lifestyle articles for the 50+ generation. Several of the Top End’s best restaurants were acclaimed by the Australian Good Food and Travel Guide in 2014, but whatever your taste, it’s all about dining locally, and enjoying the terroir. The Northern Territory is seriously good at food. There’s nothing like a great informal curry at the sunset markets on Darwin’s Mindil Beach (there’s a celebration of Indian food and culture each June) or tasting a messy mango on the beach, but you can also go fine-dining on a sand dune overlooking Uluru. Indeed, the region lays a lot of claims to being one of Australia’s most interesting food destinations. With tropical and native ingredients, and many farms pioneering foodstuffs, it’s home to rice growing, mango farming, barramundi and mud crab fishing. And you can always find an eatery to enjoy this natural bounty: pubs, cafes, restaurants, and great shops where you can buy picnics. There’s world cuisine here, from Hanuman, Darwin’s home of pan-Asian cuisine with oysters and Malaysian-style curry – and Darwin’s cool restaurant Char, known for its steak and barramundi, as well as Asian-inspired dishes. Down in Alice Springs, there’s the Alice Vietnamese Restaurant, where fresh food is served under twinkling paper lanterns. Meanwhile, the Overlanders Steakhouse serves kangaroo, emu, crocodile and for the really brave, camel. A few hours’ drive away is Ayers Rock Resort and the exclusive Tali Wiru experience where, diners can eat under a million stars, with champagne washing down a four-course dinner that includes indigenous ingredients such as wattleseed and lemon myrtle. You’re in the Northern Territory, so give it a go. Hanuman, famous for its south-east Asian cuisine, has outlets both in Darwin and in the Red Centre at Alice Springs. 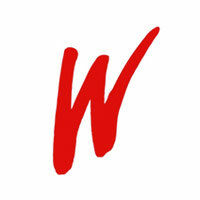 Worth a visit for its Thai and Malaysian-inspired food. Pee Wee’s at the Point, Darwin, is one of those must-do experiences: fresh seafood overlooking views across Fannie Bay back to the city. Try the coconut crusted, wild-caught crocodile tail. Darwin Waterfront boats an array of cool bars and restaurant offering cocktails, all day dining and a range of different cuisines from Vietnamese to Mexican. There’s fruit juice – and there’s Darwin fruit juice. Try rambutan, mangosteen or dragon fruit – actually a cactus – at Parap Markets. And if you’re feeling conventional, there’s straightforward mango. At Uluru, don’t miss Sounds of Silence, where you can dine overlooking the rock, watch traditional Aboriginal dancing and hear all about the skies from a ‘star talker’.